With broken hearts we mourn the loss of our dear friend and colleague Curt Overcash. 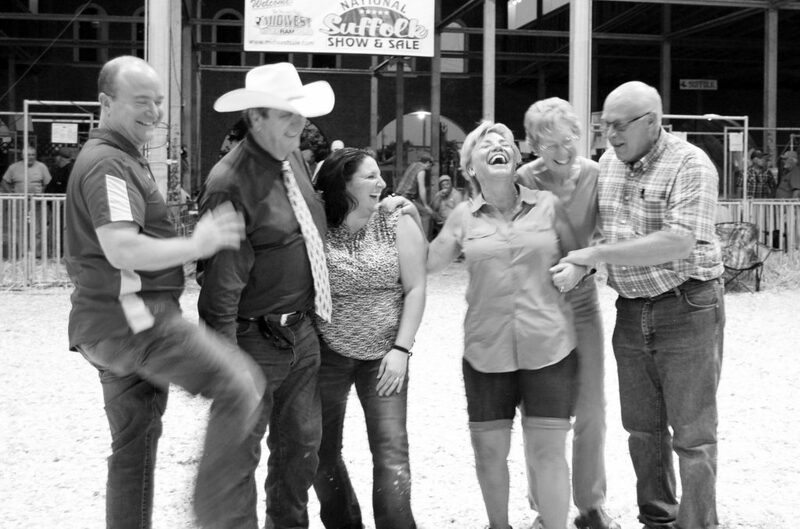 We as the team at Heartland Livestock Services are more than a business – we are a family and the loss of a family member leaves a tremendous hole in our lives and our hearts. I personally have known Curt for more than 40 years – he is my friend, someone I could always count on and someone who found fun wherever he was! Curt was a storyteller. While those stories were always entertaining with his unmistakable laugh intertwined, if you listened Curt was also sharing his history and traditions that he held so dear. But no matter the topic always Curt left you laughing! Curt loved the auction business and he learned from and revered the greats in the business and with his engaging personality he became one of those that was revered by the generation coming behind him. Curt’s wicked fast sense of humor, his laugh, his deep gravelly voice, and his perfectly timed “Larry Mead impersonation” (sorry Larry it was good!) will be a missed more than words can describe. But Curt’s business acumen should not be overlooked. Curt approached business from a common sense, no bull, farmer type perspective. But he also remained incredibly loyal to his friends both old and new. Our Heartland team works together closely we get involved with each other’s families and watch them grow. We live together for 10 days every year. We lovingly call the log cabin on the Missouri State Fairgrounds our “summer home”. In the evenings lots of laughter and many stories are told and shared which rejuvenates us for the next day of Sedalia. Curt is a critical part of our culture and our Heartland personality as a team. Sadly, it will be quieter at our “summer home” now. Curtis A. Overcash, 66, formerly of Canton and Dixon, passed away Sunday, August 26, 2018, at his home in Ottawa. He was born on April 15, 1952, in Canton to George W. and RosaLee (Harris) Overcash. Surviving are his mother; two children, Camille M. Overcash of Bloomington Illinois, and Cameron W. Overcash of Des Moines, Iowa; one brother, Larry (Susan) Overcash of East Peoria; five sisters, Terry (John) Lowe of Farmington, Gloria (John) Davis of Canton, Brenda (John) Baylor of Cuba, Laura (Richard) Sharpshair of Canton and Karla Hulvey of Canton; and many nieces, nephews and cousins. He was preceded in death by his father, George. Curtis graduated from Farmington High School in 1970. He then graduated from Spoon River College in 1972, and later from the University of Illinois in Agriculture Education and was a member of the Farm House Fraternity. He began his career as an agriculture teacher at Princeville High School. He started as a salesman for FS, and grew within the company through multiple transitions, reaching the level of Credit Manager. Together with Greg Deakin, he founded a national purebred sheep magazine called “The Suffolk Banner” in 1978. He was a graduate of the Kenneth Gregg School of Auctioneering in Texas. 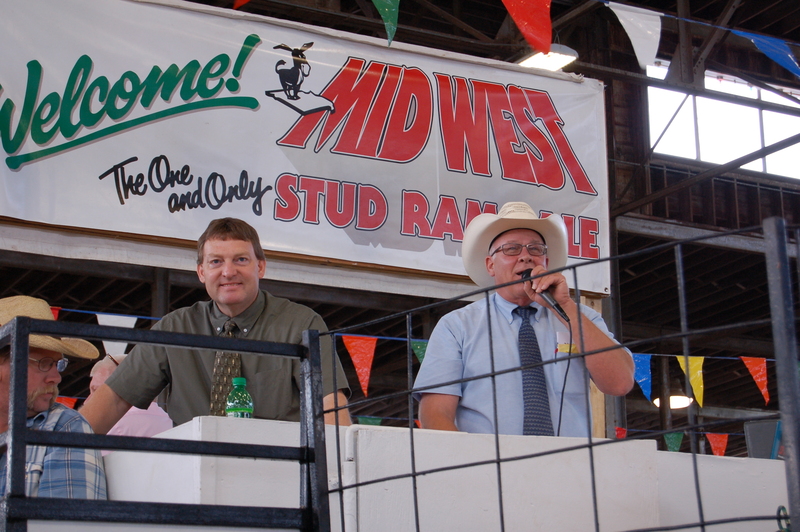 He was an active partner and auctioneer for Heartland Livestock Services at purebred sheep auctions throughout the country. He retired from GRAINCO FS Inc. in January of 2018 to a full-time job of farming and auctioneering. Curtis was baptized in the Fairview Reformed Church and was a faithful Christian. Throughout his life, Curt remained faithful to his agricultural roots. 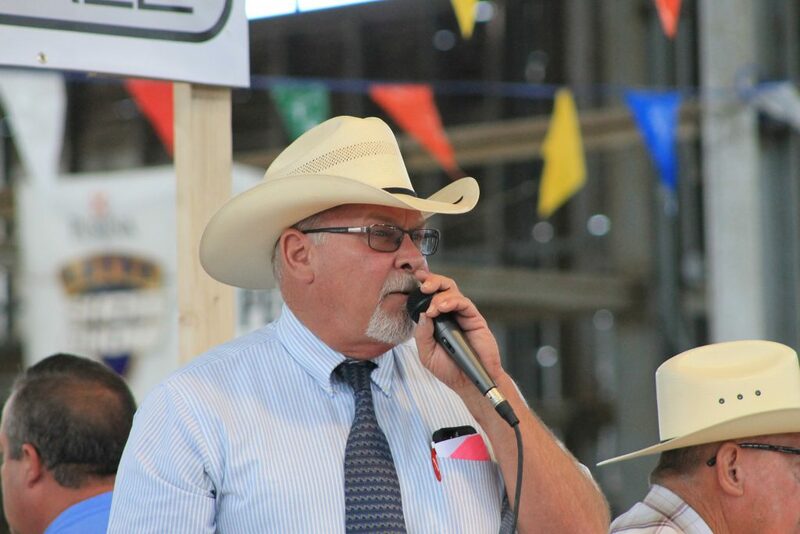 He enjoyed participation in 4-H, FFA, charity auctions, including the Friendship Festival livestock auctions, and he was a longtime MC at the Fulton County Fair. He will be remembered for his engaging personality, his keen sense of humor and his rolling chuckle that lit up the room. He felt blessed and honored to farm alongside his dad, but most of all, Curt cherished his children. A visitation will be held on Thursday, August 30, 2018, from 4 to 7 p.m. at the Oaks-Hines Funeral Home in Canton, with a funeral service on Friday, August 31, 2018, at 11 a.m. at the funeral home. Burial will be at the Foster Cemetery in rural Fairview. Memorials may be made to the University of Illinois Farm House Fraternity Foundation or Farmington High School FFA. To view Curtis’ tribute video or to leave online condolences, please visit www.oakshinesfuneralhome.com.